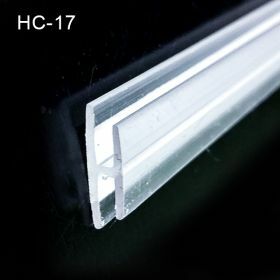 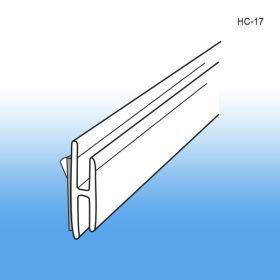 Minimum quantity for "H-Channel Sign Holders, HC-17" is 25. 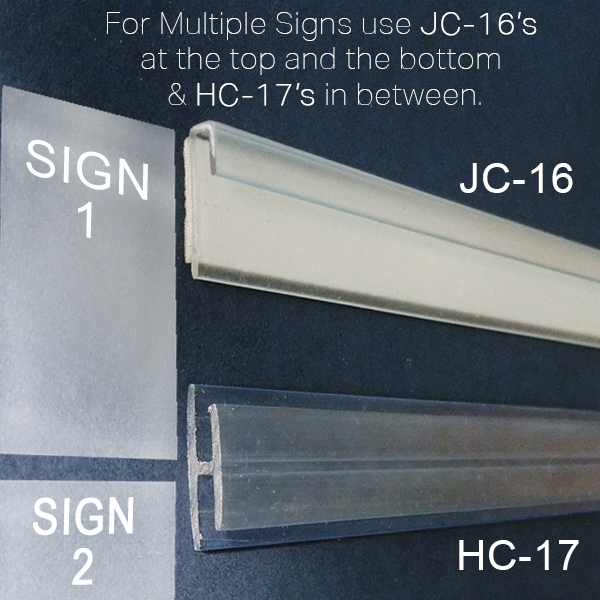 This H-channel sign holder is simple to use and aides in creating multi-level signage by adding as many H-Channels in between the J-Channel ends. It is utilized in warehouses, retail stores and various businesses such as hospitals, schools and government institutions where communication is critical. 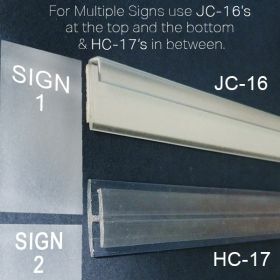 Use as many H-Channels as needed to make as many individual levels of signs required, and changing out messages is not a problem, just remove the current sign and replace with new one(s) utilizing the same channels.